When you come to The Financial Center, LLC for the first time, we will have a complimentary "getting acquainted" interview. We will ask each other questions, discuss basic issues relating to your lifestyle and finances and in the end decide if we are the right firm to help you. Once decided, the fact-gathering process will begin to ascertain your current financial situation. We will review your investment portfolio and insurance contracts, examine the benefit plan provided by your company, and analyze the amount and resources of income and monthly household expenditures. We will discuss your lifestyle and with you, formulate and quantify your goals. The next step will be to create a Financial Plan. 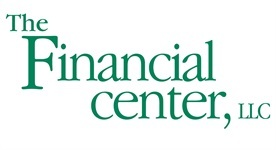 The Financial Center, LLC, is a registered investment advisor. Your Financial Plan will be like a "road map", specifically designed to help get you to where you want to be in 10, 20 or even 30 years. Fully registered for both investments and licensed for insurance solutions, The Financial Center, LLC can also furnish specific products and services to implement your "Financial Plan". Like your attorney or accountant, we prefer to be compensated by a fee for the work provided rather than a commission for a product sold.